On an oil rig platform, located south of Jeju Island, Hae-Joon (Ha Ji-Won) works as the equipment manager for a small, but dedicated crew. 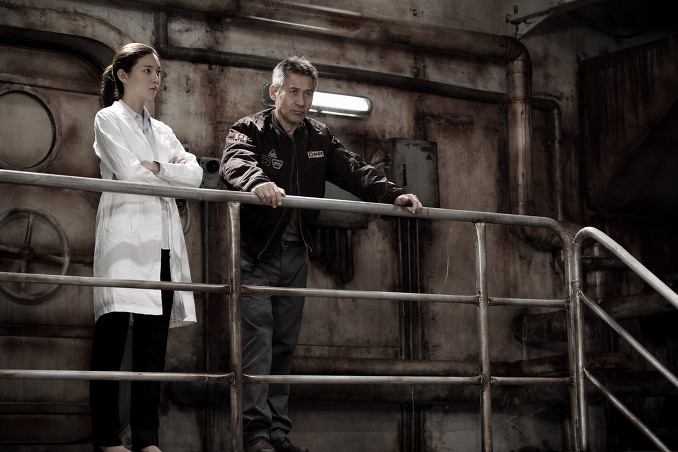 Joining the crew is Jung-Man (Ahn Sung-Ki), a former colleague of Hae-Joon’s late father, and now newly assigned captain of the platform's underwater exploratory ship "Eclipse." Though his job is to oversee the withdrawal of the platform, Jung-Man suggests conducting one last drilling. 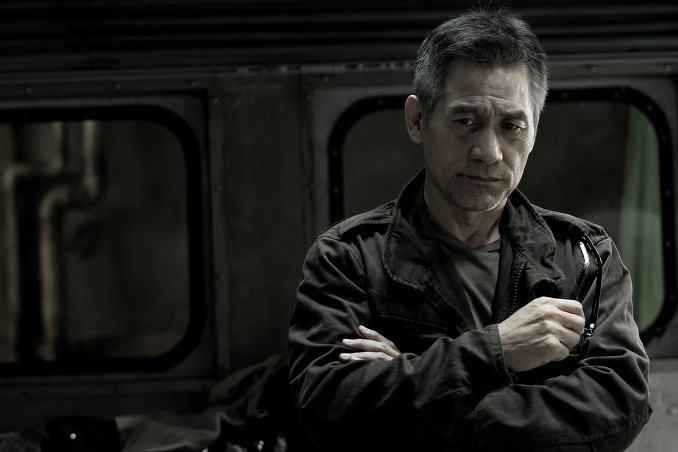 As of November 17, 2009, Je-gyun Yun is in the middle of writing of the scenario for "Chil Kwang Gu" (lit. translation "7th Oil Rig"). After the completion of the script, filming is expected to begin in 2010. Due to conflict in schedule Je-gyun Yun (director of disaster pic "Haeundae") will work as the movie's producer instead of director. 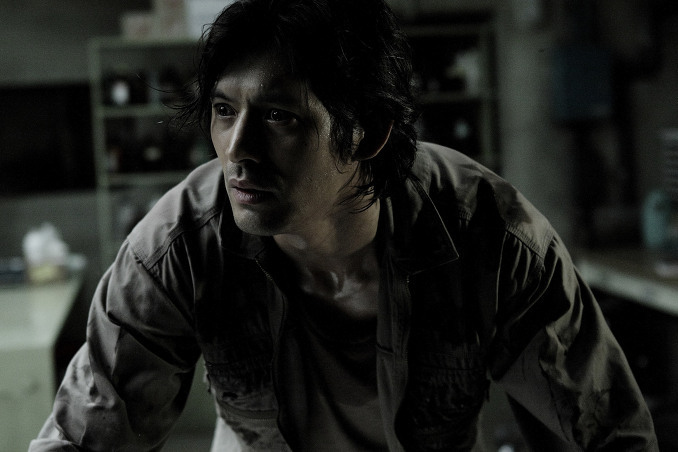 In his place Kim Ji-Hun (director of "May 18") will direct the film. Shooting began middle of June, 2010. "Sector 7" sold to 46 different countries - 8 Asian countries including Taiwan & Philippines, 14 European countries including France, Germany, Switzerland, Belgium, Luxembourg and 24 countries in the Middle East & Africa including Iran, Saudi Arabia, Egypt, Algeria, Lebanon and Kuwait. 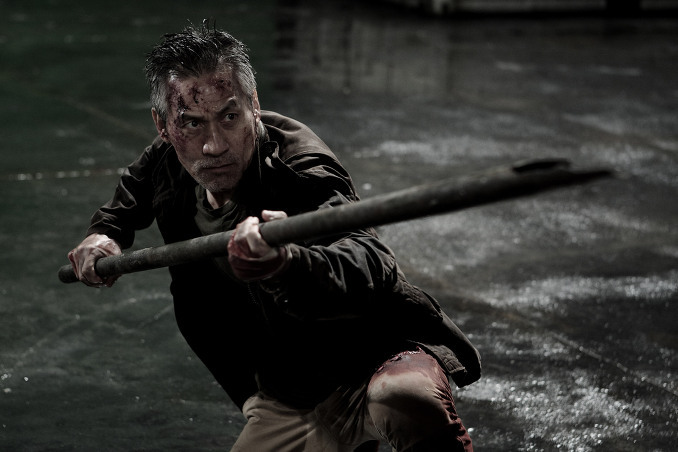 Specifically for Germany and Middle East region "Sector 7" sold for the highest price for any Korean films to date in those regions. 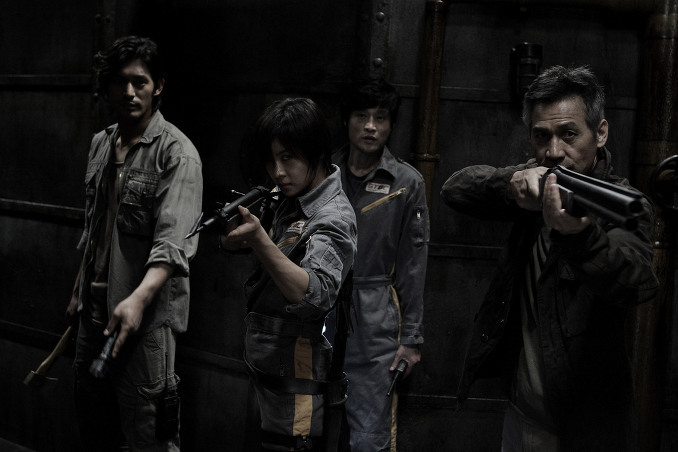 Korean opening of "Sector 7" was delayed slightly with the first general admissions occurring at 6pm rather than in the the normal morning opening. The delay was in response to the press preview held on July 26 in which viewers complained of darkness and the screen becoming even darker with 3D glasses, as well as unsatisfactory sound quality. In response, JK Film has been working on revisions to make the screen brighter, decrease eye fatigue for 3D effects and sound re-mixing. In Korean theaters an estimated 60% of screens will show "Sector 7" in 2d, while 40% of screens will show the movie in 3D. arrashy Oct 18 2012 12:15 pm I really loved Ha Ji Won... She is great women. SisterB Nov 21 2011 11:49 am A little more interesting than Haeundae and I watched that to the end; so, I continue to watch as I like Ha Ji Won! Only reason I will watch to the end. Andy Nov 01 2011 8:31 pm This movie was bad if it wasn't for my love for Ha Ji Won I wouldn't sit through the whole thing!!! This movie does no justice for her. But then again thanks to this we get Gil Ra Im so I guess it's all predestined!!! yfan Nov 01 2011 1:04 am wow. i don't understand how everything that could go wrong for an event film, did! sorry i have to agree with jack's conclusion. D-war looks like shakespeare next to this, which means some kind of special award for director kim ji-hun! Mr.Critique Oct 20 2011 3:40 pm That's Right is has a weak Storyline but not so bad for a sci fi..! jocutus Oct 07 2011 10:19 am I liked this one. It wasn't the best, but it was a guilty pleasure. jack Oct 06 2011 11:01 am Wow, this movie sucked hard. Forget the storyline. We all knew this was some dumbo 3D action movie, so the storyline was going to be very basic. No problem there. What really made this movie so bad is the overall acting. I don't know who directed this movie, but every single one of these actors did absolute garbage job. Considering how some of them are actually pretty decent actors in other movies, I have to think the director just screwed everyone up by getting them to over-act and over-deliver every single line. Every single actor in this movie must have drank at least 10 shots of espresso before each shot. I haven't seen such horribly acted movie in a long, long time. Sad to say the best acting job goes to the monster in the movie. Every human actor in this movie: FAIL. Julia Aug 30 2011 4:20 am All in all, this is an action film. People keep talking about how weak the story line is and yes, partly it is true. If the editing was done better, it would have been a better movie. But considering that this film was made on a budget 20 times smaller than that of Hollywood blockbuster films and that it was done for the first time using purely Korean CG and 3D skills, it was not as bad as everyone makes it out to be. Also, the actors were filming 98% of all scenes in front of a green screen, imagining the area surrounding them and the monster. There were no stunt doubles for this film, which means that Ji-won Ha did all the motorcycle scenes and wire actions herself. If the characters seemed not interesting enough, blame the writer and the plot, not the actor. And, some people keep commenting on how similar this film is to other action films and say that some of the action scenes were pointless. Um... what action film doesn't have these qualities? Also, imagine living on an oil rig out in the middle of the ocean. Wouldn't you be bored and try to find something to do? If you want to enjoy this film to the max, watch it in 4D. If you don't have the chance to watch it in 4D, then imagine that you are riding a roller coaster like what Ji-won Ha told me to do. CECILLE Aug 11 2011 12:28 am Let as say that the sector 7,the reason why it is box-office hit is because of Ha Ji Won huge fans,and they say that the storyline is so weak...ok. Why did you compare it to some hollywood movies,i mean...come on!!! this is the first Korean film using 3D right,and even if i didnt saw it because im not in Korea i watch the trailer i hear the interviews i love action movies i know if the story was good or bad...For the first timer it is GREAT!! !..i dont think the people will pay and to watch just to support for 1 million viewers in 3days i think they like it.Dont you THINK!!!! 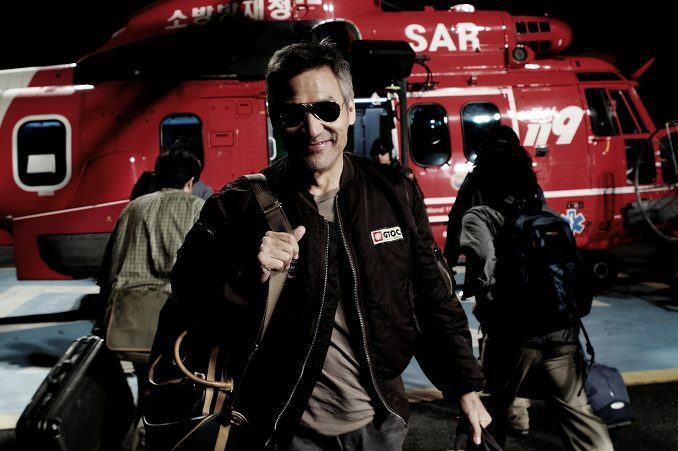 Ki Aug 10 2011 9:19 am Watched "Sector 7" on the movie's opening day here in South Korea. While I didn't expect much from the movie, I found myself enjoying the campiness of the movie and the novelty of watching a 3D action monster movie on a huge screen. Without a doubt the storyline is half-baked and I expected that. The movie's forte is the action, special f/x and the 3D presentation. It also doesn't hurt to have Ha Ji-Won in the leading role. If you're familiar with video games like "Quake" or "Doom" and you know how shallow the storyline is, but the game itself is still pretty fun to play .... well "Sector 7" follows the exact same path (even a lot of the movie's visuals looks like something out of Quake). I read that the movie was shot in 2D and later converted to 3D. While watching the movie, I noticed how some scenes looked 2D and the next scene the 3D would be extremely noticeable - kind of like in Photoshop when you wrap a layer mask around part of the image to implement a special filter. The lack of field of depth felt kind of weird in this regard, but I still enjoyed the visuals. 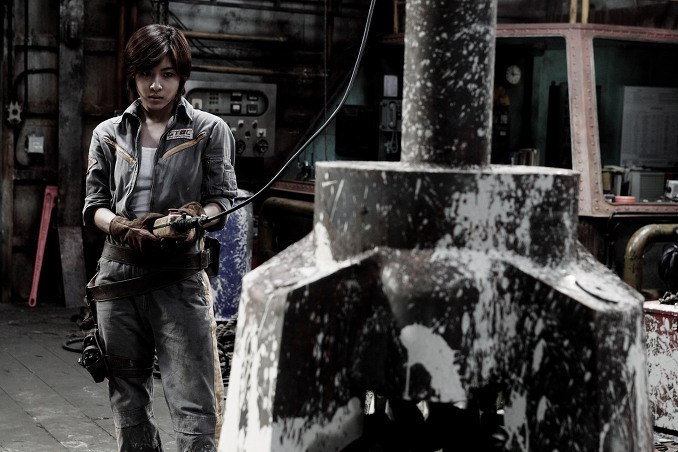 Reviews for "Sector 7" has been largely negative so far in South Korea, mostly ragging on the movie's weak storyline and the overt similarities to Hollywood film "Alien'. For those complaining about the weak storyline, I think that's a lot like someone buying an issue of Hustler magazine and then complaining about the shallowness of the articles (i.e. "duh"). "Sector 7" is all about the action, special effects, and 3D! I did enjoy the movie for these reasons and the unexpected campiness of the film. I had a fun time watching the movie and that's ultimately what its all about. Anybody that decides to watch "Sector 7" in 2D (either in the cinemas or on DVD) may miss out on those aspects and probably wonder what the hell I'm talking about. Here's a pic of the spiffy 3D glasses they handed out for the movie. Grace Jul 28 2011 3:06 am Excited for this one!! Anyone else notice (from the plot notes) similarities to the American movie Virus with Jamie Lee Curtis? klarzs Jun 01 2011 1:56 am can't wait for it! Another blockbuster movie of Ha Ji Won~ Fighting!!! "한국 첫 3D 대작 `7광구`, 46개국 선판매···기대 고조", "edaily.co.kr," May 26, 2011. "안성기·하지원 '7광구', 전세계 46개국 선판매 쾌거", "Nate News," May 26, 2011. "‘7광구’ 개봉지연은 이미 예고된 것이었다", "Newsen," August 4, 2011.